As published in the Star Advertiser on Wednesday, March 7, 2018. Written by Pat Gee. 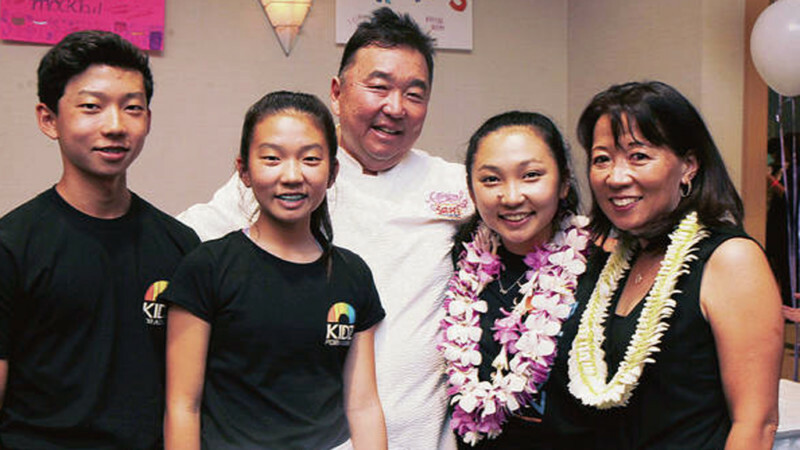 Above image: The Kodama family — Chev, left, Cashel, dad D.K., Brie and mom Lori — joined forces to put on the Friday Night Foodie Festival benefit last month. Photo by Cindy Ellen Crussell. Having a successful chef as their father allowed D.K. Kodama’s children the taste of a privileged lifestyle, but knowing friends whose families weren’t as comfortable prompted the three to organize a fundraiser for Ronald McDonald House Charities of Hawai‘i. The eldest, Brie Kodama, 16, said their dad’s reputation was a definite help in getting other restaurateurs to join Kids for a Cause in putting on the first Friday Night Foodie Festival on Feb. 23 at the Japanese Cultural Center of Hawai‘i. But other kids in the group also had culinary connections, she added. She and brother Chev, 14, are on the two executive boards of the nonprofit, and sister Cashel, 12, is among 30 other student ambassadors who staffed a beverage booth, sold their own baked goods, and served or cleaned tables that night. Besides Kodama’s Sansei Seafood Restaurant & Sushi Bar and Vino Italian Tapas & Wine Bar, seven other restaurants offered farm-to-table cuisine at the event: 12th Ave Grill, Fish Hook Cafe, Manoa Grand Ballrooms, Mud Hen Water, MW Restaurant, Tamura’s Kitchen and The Pig and the Lady. Brie said the purpose of Kidz For A Cause is simply to help other children in need, using the hobbies and interests of the group’s young members to raise money for youth-oriented charities. “It started in 2008 and has so far raised almost $500,000 for various local charities that focus on children — including the Friends of the Children’s Justice Center and Kapiolani Medical Center for Women and Children’s Neonatal Intensive Care Unit. 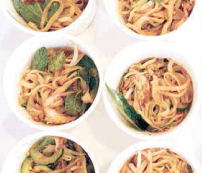 This year’s Foodie Festival sold over 500 tickets at $75 to $30, and raised $33,292. The Kodama kids had participated in past fundraisers held by the nonprofit, but officially joined last year. A smaller-scale spaghetti benefit was held at their father’s Vino restaurant last year. Their mother, Lori Kodama, helped them organize the business end of the Kids’ fundraiser, but Brie said she was watching and learning the complexities of the behind-the-scenes details. Brie became more interested in community service when she realized that people close to her were struggling financially, especially those caring for sick children. She said she and her siblings had no idea how different other peoples’ lives could be. An image of the article can found here.